Thetis brings grieving Achilles his new weapons. 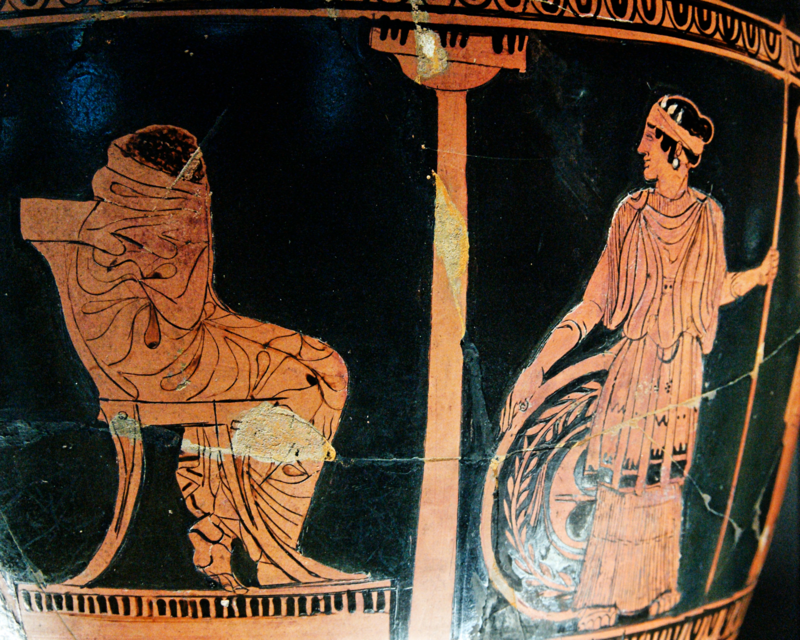 Side A of an Attic red-figure volute-krater, ca. 460 BC. From Corneto (ancient Tarquinii), Latium, in the style of the Geneva Painter.